Create customizable design files in popular software formats. Earn at least a 20% commission when your designs sell on Inkd! Sign up now to get started! Use our new design marketplace model to get a jump-start on new business. We don't accept just anything that comes our way. Include yourself in a premier destination. Inkd puts you in front of new customers from around the world! Love graphic design? 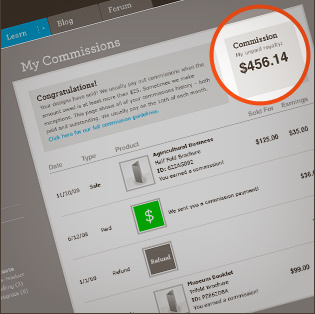 Turn portfolio pieces into passive income. 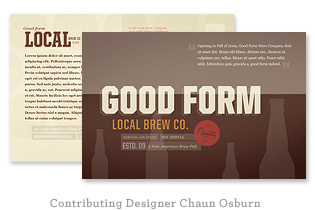 Those who practice great print design these days are the few and the proud. If you're one of us, Inkd is a great new opportunity for your work. Like a stock photo agency, but for graphic design, we handle marketing, promotion, ordering and customer service. You provide great design in any style and form you like. Utilize leftover concepts or experiments, and make money while keeping in practice with trends and software. You get paid each and every time your designs sell. Sign up to start selling! Help us bring better print design within everyone's reach. Many businesses, particularly small to medium sized organizations, do not have access to professional design. It can be very expensive and time consuming to generate high quality print design for essential collateral such as brochures, business cards, and letterheads - time and money simply not available. Stock photography has allowed revolutionary access to professionals. There are a few "template" sites online, but most of that material isn't world-class design. Bridging this gap is why we created Inkd, the first ever marketplace for professional print design. A whole new way to boost your design business. Each contributor gets their own unique profile page on Inkd. There you can describe your history, skills and services any way you like, and even link out to your own website. 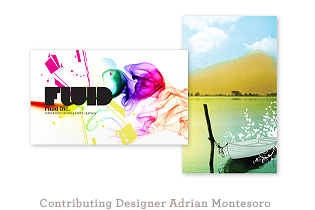 All contributed designs are credited and refer back to your profile. So how can you make even more money? When customers need help customizing a design or finishing their identity, who best to call? You! The designer who made the original design in the first place! Uploading a design earns you money and promotes your services at the same time. So who gets accepted to sell on Inkd? Great question. We're a bit like a high end stock photo company where many may want to sell but not all are accepted. Take a look around — we've got lots of information and inspiration to help guide you through contributing and getting designs up for sale. View our Getting Started and Getting Approved sections for tips along the way!